Our Puppy Love Mickey Mouse and Minnie Mouse Figurine is a romantic Mickey sculpture built for two. 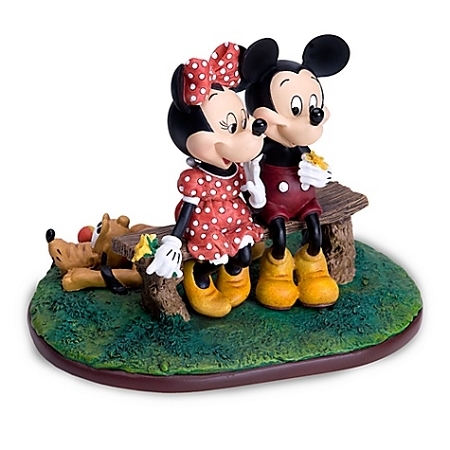 Our ''Puppy Love'' Mickey Mouse and Minnie Mouse Figurine is built for two. The sweethearts share a romantic moment, portraying all the innocence of young love. 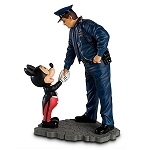 This touching Mickey figurine, inspired by the artwork of Disney master illustrator Charles Boyer, features Minnie bashfully smiling at her beau as he offers a posey for a bouquet. Meanwhile, Pluto lies behind the bench patiently hoping for a game of fetch.